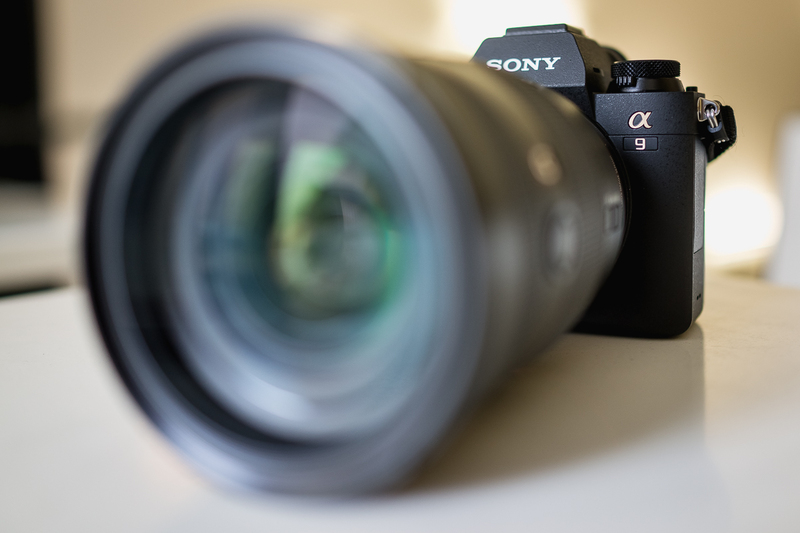 The original review can be found here – Sony A9 first impression but it is in the Czech language, so I tried to translate it in English. Jan Tichy is respected Czech photographer and a big fan of the Sony E mount cameras. He is also a legacy lens freak and one of my good “photo” friends. 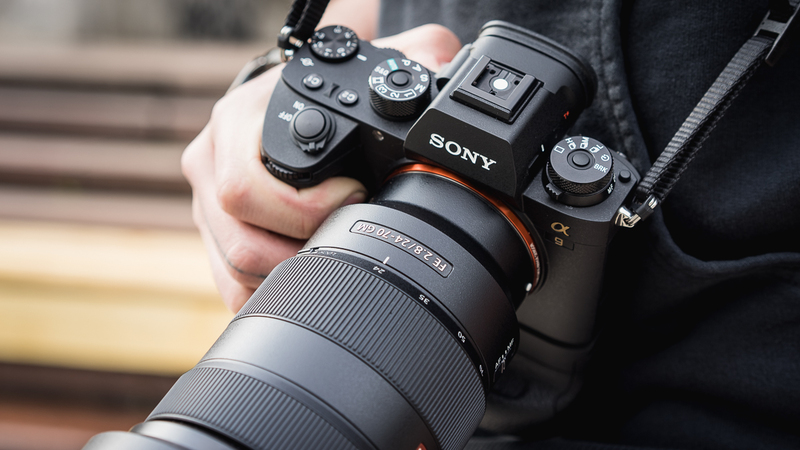 I had the chance to shortly play with the camera, but it will take in depth examination in order to answer the question – will it help Sony to switch the professionals to its side? 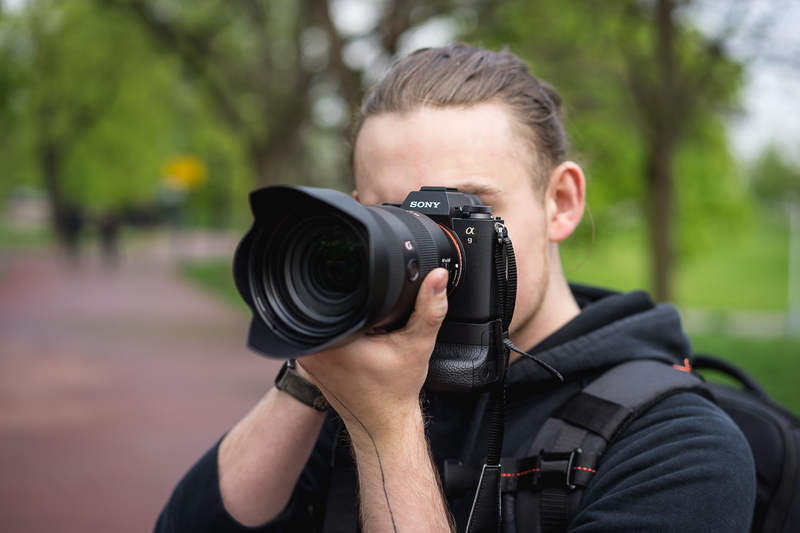 I was most interested in how the ergonomics of the body changed, how the camera handled the higher ISO, and mainly – how the focusing speed and overall response of the camera improved. I’m not the video guy though, so can’t help there, sorry. 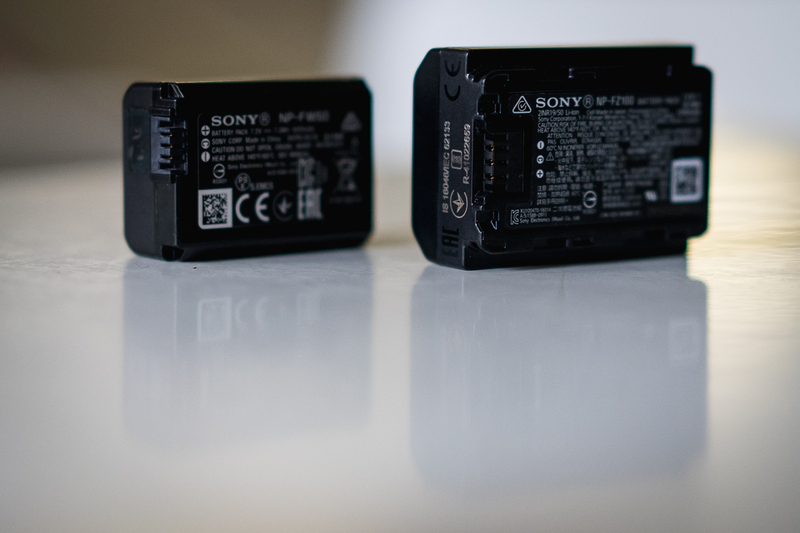 When we look at the new A9, it has not changed much from the second generation of the A7/s/r. The body is a millimeter thicker, the grip is a bit deeper and has a slightly different shape. When we put the cameras next to each other, they are quite similar. Surface finish looks and feels the same. There is a new control wheel on the top left side of the camera that controls the driver mode (single shot, continuous high, medium and slow speed), self-timer and bracketing. Bellow, there is a ring which selects the AF mode (AF-S, AF-C, DM-F and MF). Both selectors have the lock release button, which needs to be pressed if we want to change the settings. Drive mode lock is on the top of the wheel and AF mode lock is small button on the left. Working with this control wheel is not very convenient and intuitive. In fact, because of the lock buttons it is rather awkward experience. I am used to the previous generation A7 bodies, but this camera fits even slightly better to my palm. With a battery grip mounted, there is hardly anything to be desired in terms of the holding comfort. For those with a larger hands, who don’t want to carry regular battery grip, Sony introduced GP-EX1 for more comfortable hold. Drawback of this solution however is, that bottom of the camera gets curved and thus placing camera on the table e.g. becomes a tricky operation. It also covers the battery compartment, and needs to be removed if battery has to be changed. Control buttons layout changed quite a lot. “C3” button moved next to the “Menu” button to the top left. AF/MF/AEL button is now separated into two dedicated buttons on the right top. Video button moved from the side, just next to the viewfinder (on A9, shutter button can be assigned as a video record start button too), but main improvement is the appearance of the multi-controller/selector joystick, which allow fast change of the focus points, or instant return to the central focus point by simple push. In combination with the auto-focus touch responsive display, selection of the focusing area or point is at the different level in comparison to the older camera generations. Great feature is that the viewfinder is automatically switched off, when display is tilted. That is one of my favorite ergonomics improvement over older bodies. The camera has a solid and robust feel in hands. 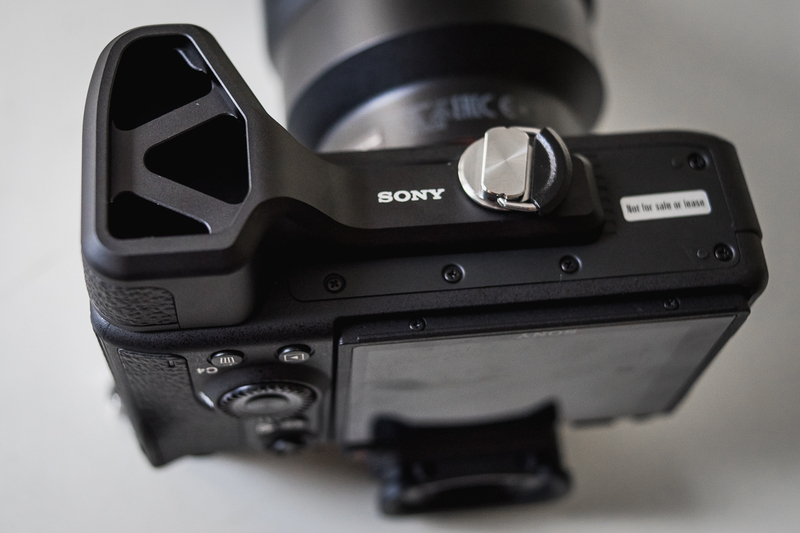 The mount should be firmer, since it is expected that A9 would be used with large and heavy lenses. 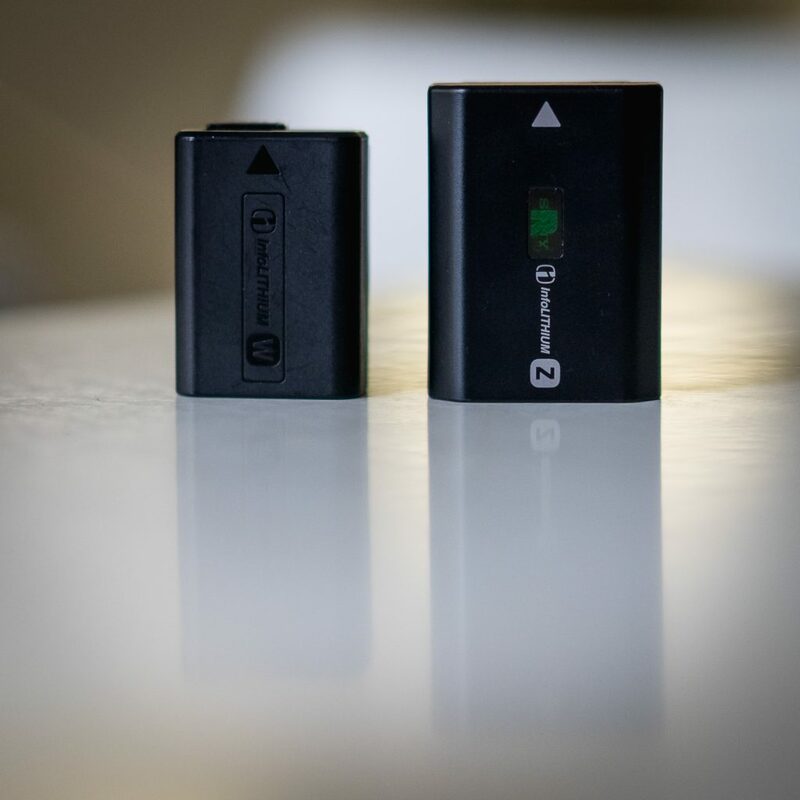 The total weight, including the battery and memory card, is 673g, which is not such a jump from A7RII (625g). 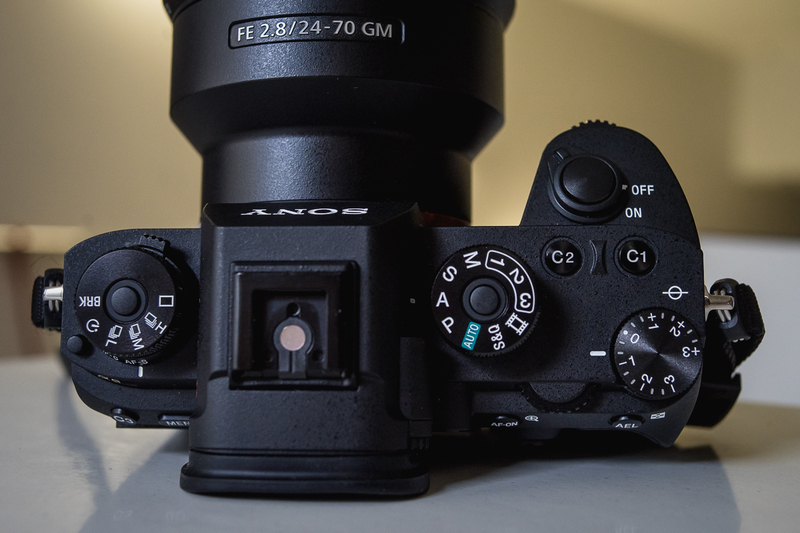 The viewfinder is as large as the one in the A7RII but has a higher resolution (3.6m vs. 2.3m points). Points are not same as pixels – for A7RII there are three points in one pixel – blue / green / red and in A9 there are four, thanks to QUAD-VGA technology – so the overall resolution of the viewfinder did not increase massively, even though it looks like on paper). The A9 viewfinder has refresh rate of a 60 or 120 frames per second. When shooting at high speed (20 frames per second), the AF square blinks around the focus point in the viewfinder, but the rest of the image remains absolutely clean and smooth, due to the absence of a mirror. When using a mechanical shutter, the speed is 5 frames per second. When using an electronic shutter, the maximum speed increases to the 20 frames per second. This makes A9, with a fair reserve, the fastest FF camera on the market. 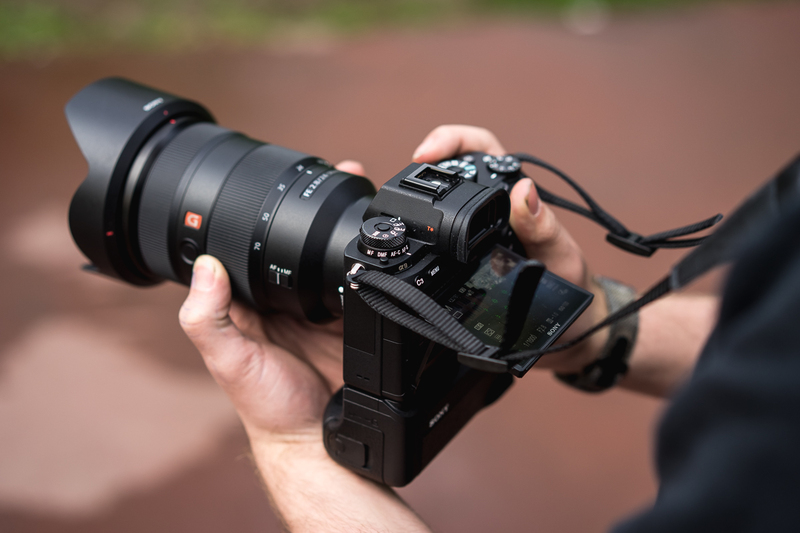 With a mirrorless, we can expect increase of the shooting speed in the future, while with mirrors, we are already struggling with the mechanical limitations of the system at 15-16 frames per second. When I first attempted continuous shooting at 20 frames per second, my jaw dropped. Not that such a speed fits into my style of photography, but it just deliver incredible experience of having this option on board. The electronic shutter also allows us to shoot at a shutter speed as short as 1/32000sec. That is four times faster than the usual maximum speed of 1 / 8000sec. Somebody might find such a shutter speed useless, but if you ever try to shot at f/0.95-f/1.4 on the sunny day, I am sure you’ll find this feature extremely useful. Auto focus capability is of a most interest to many photographers. 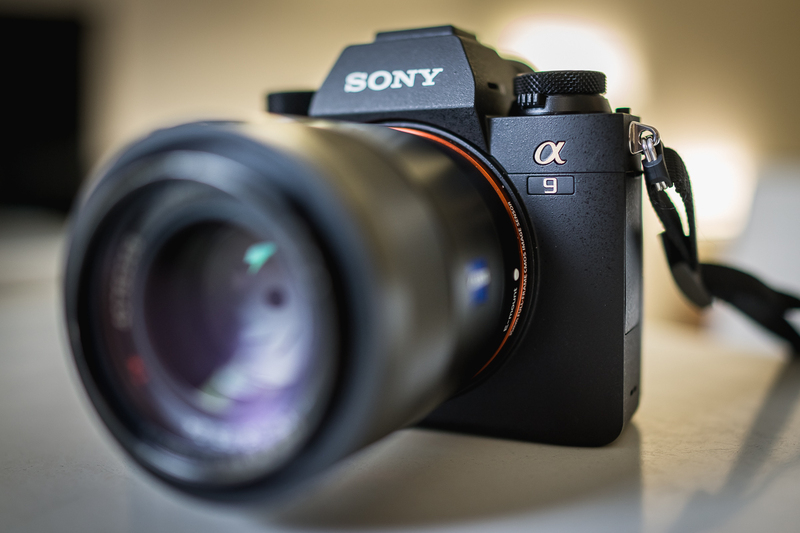 A9 has a hybrid focusing system using phase and contrast detection. It focuses with 693 focus points, practically covering the entire image. 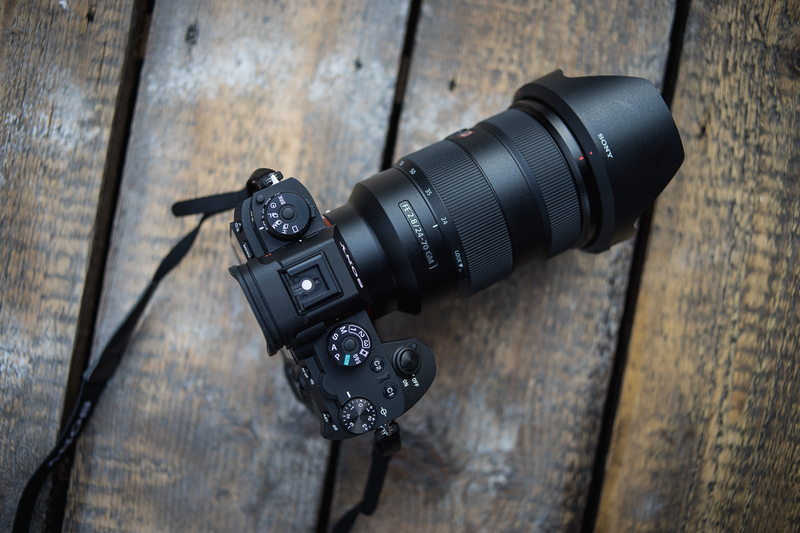 At the time of testing, we had a Sony GM24-70mm f2.8 lens, which was the only one calibrated on the A9. With this lens, the AF speed was super fast and absolutely accurate at all focal lengths and apertures. The lens responded instantly, did not hunt or breath, regardless lighting conditions. When photographing static objects, the accuracy of the focus was exemplary, just as we are used with the Sony A7 cameras. We also tested moving subject – a person running toward the camera, with the Sonnar FE 55mm lens at f1.8 (firmware A9 is not yet upgraded for this lens but still worked well). Auto Focus was very fast and accurate, we got over 90 percent of the photos in focus, and the rest was shifted just a bit. This performance pleasantly surprised me. 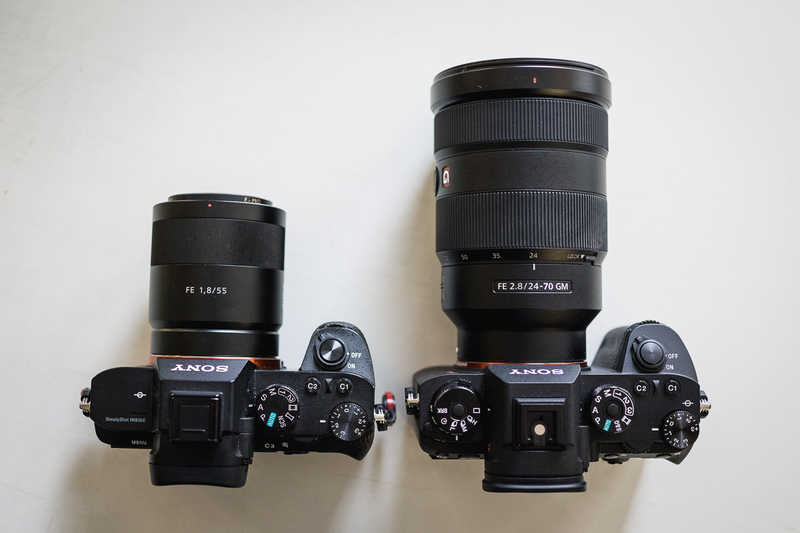 In comparison to my A7II, A9 AF system is a huge jump ahead. 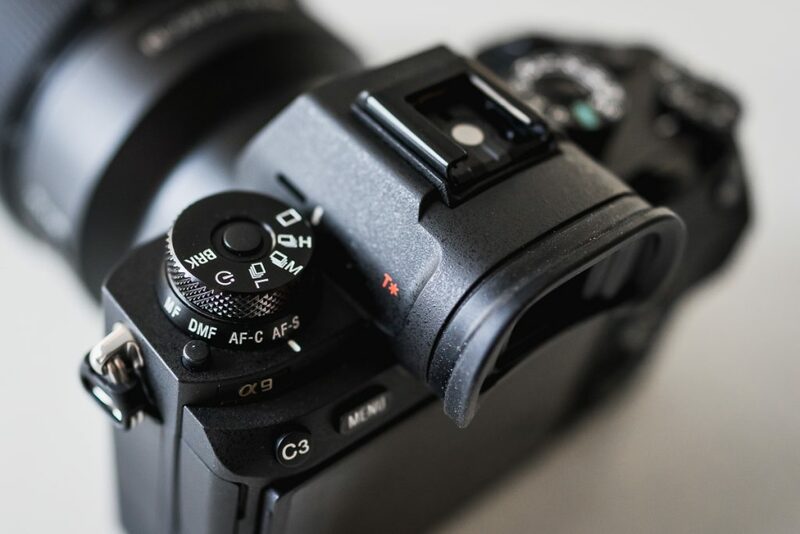 The A9 shutter button has also faster response and smoother feeling than the shutter button of the A7II. We also tried the Canon lens with the Sigma MC-11 adapter, and although there is no firmware update (both in the camera and the adapter), it worked well, just didn’t support all functions (eye-focus … etc). Well,we didn’t make any in-depth tests. From the personnel observation, the A9 high ISO performance is very similar to the A7RII (which however has higher resolution advantage). I’ve tried different sensitivity settings up to ISO16000 (I never go above that sensitivity for my shooting :)) and results seems to me “usable” all the way up. At ISO16000, the noise was somewhat rough but the level of detail was still pretty decent. The character of the noise has sort of film look. The battery itself has increased and the capacity is now 2.2 times larger. 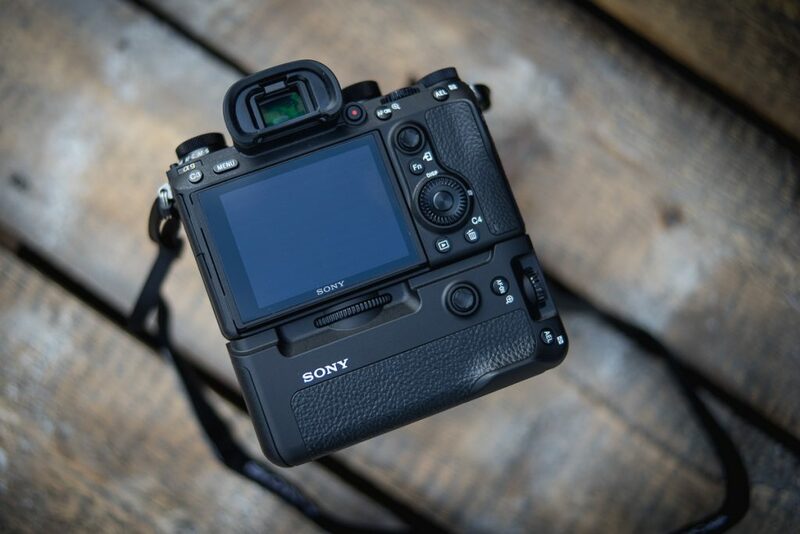 The A7RII is reported to take 290-340 photos per charge (CIPA). In a real life, over 700 photos can be taken, with the spare use of the EVF. The A9 has 480-650 photos in the specification, so we should see if it can take more in a regular use, maybe even 1000? 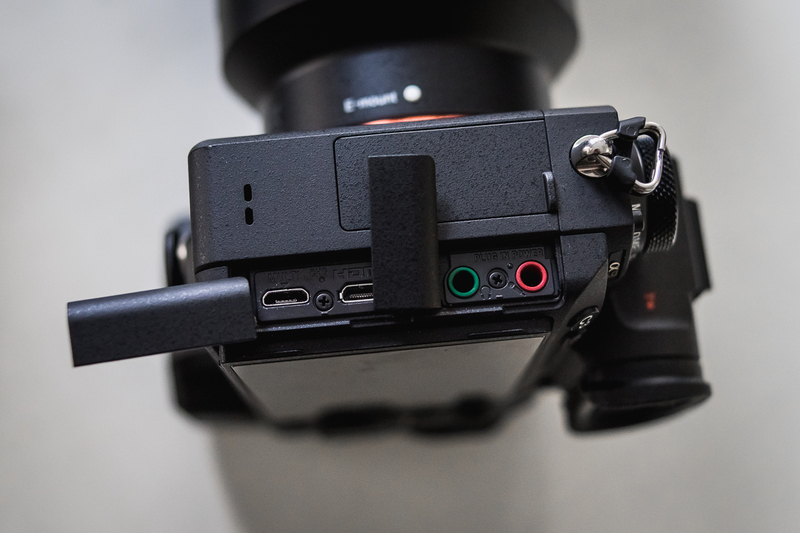 Same as A7rII and A7II, A9 has the 5-axis stabilization on the sensor, which should allow shutter speeds of up to 5 EV longer (for static objects). 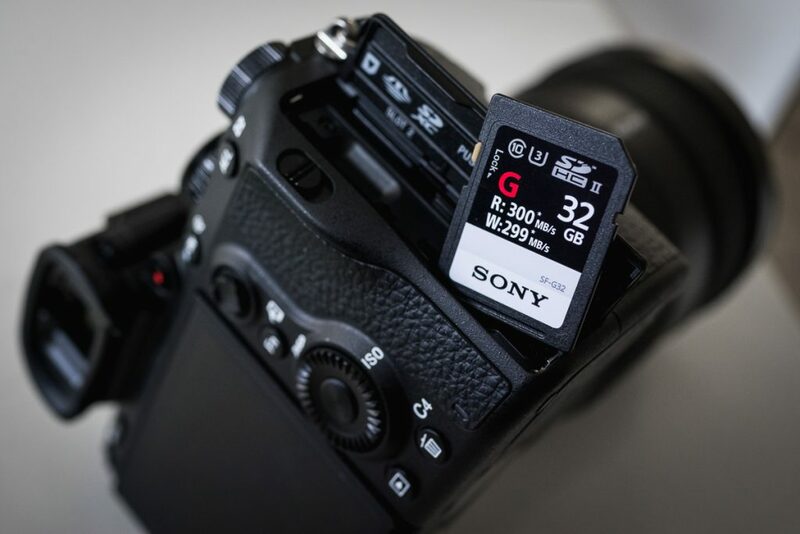 A9 has two slots for memory SD cards, one of the slots supports fast UHS-II cards. 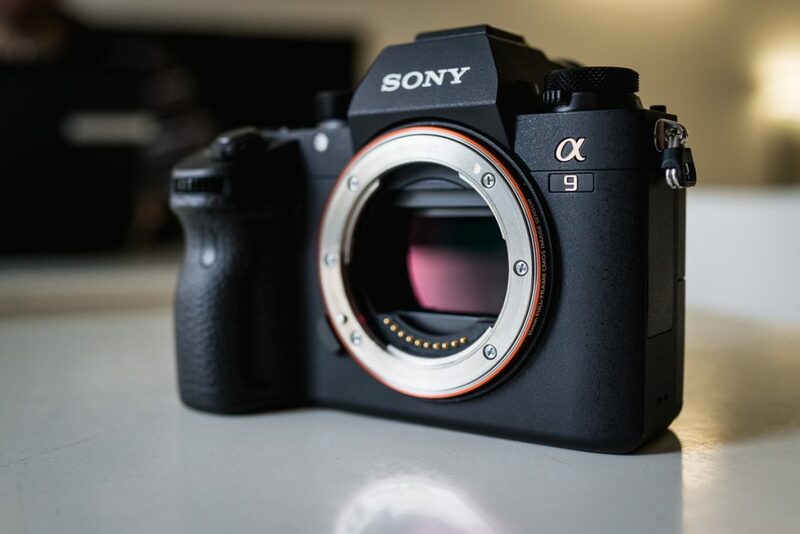 This is a clear sign that A9 is targeting professional photographers, but I am sure that also many enthusiasts will welcome this feature. The camera menu is reworked and “simplified,” but still way too far from my level of simplicity 🙂 There’s just too much options in the menu. On the other hand, I’m glad that I can customize my favorite settings to the custom buttons, so I dive into the menu only when I need to format the card. Something I can live with. The A9 has built-in wi-fi, NFC and Bluetooth. It also has headphones, microphone, micro HDMI and micro USB connectors. 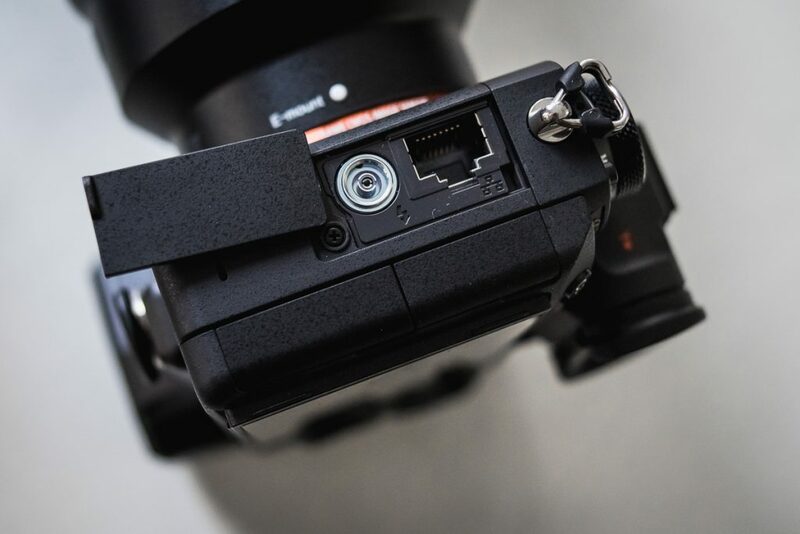 It is the first Aplha camera with the ability to use Ethernet – either for connecting camera directly to the PC or to the FTP server. For the first time, we can also find a PC sync input for the studio flash. Those features are very important for the professional photographers, especially those who are often shooting in the studio. 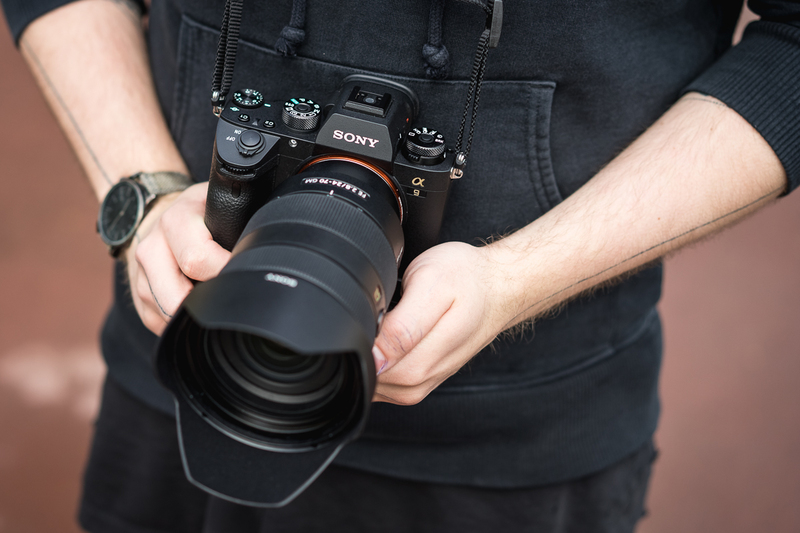 When I wrap all my impressions so far, Sony A9 has greatly improved in the area of ​​the auto-focus speed, shooting speed and overall responsiveness. Especially the maximum speed of a 20 f/s, sounds a bit like a science fiction recently. 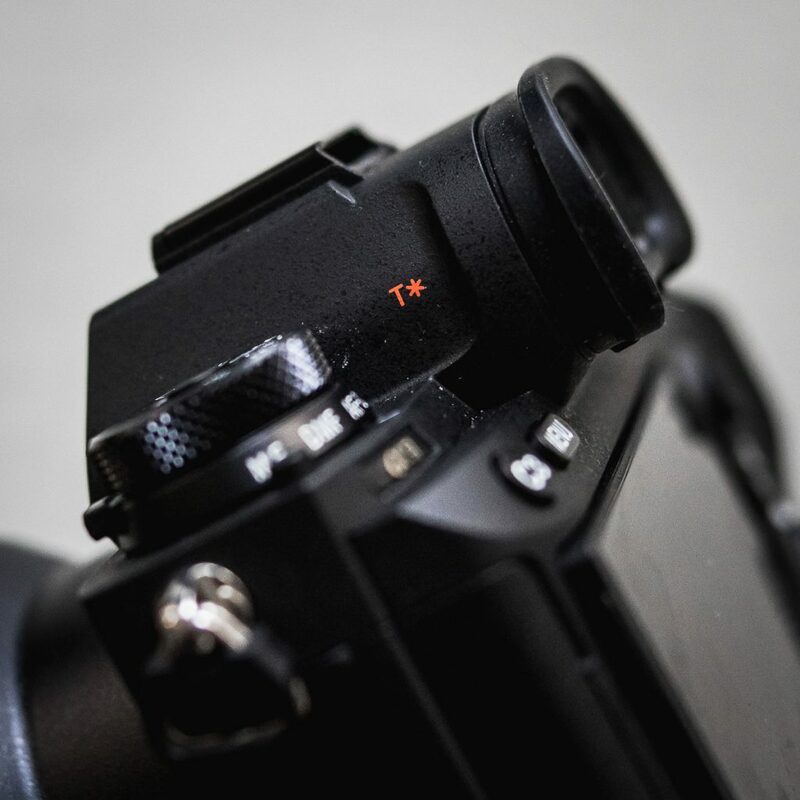 With the back-lit sensor technology, high ISO performance is respectful for the 24 Mpx camera. The ergonomics and controls as well as the menu layout are also significantly improved. 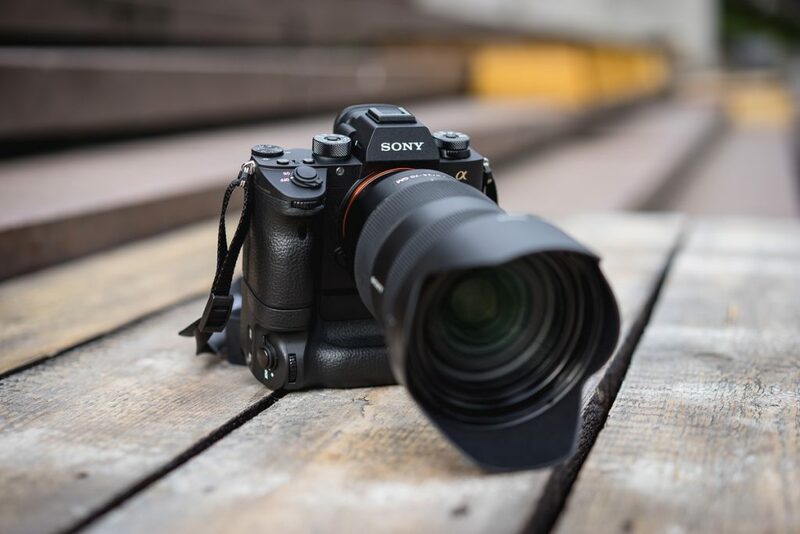 It is safe to say that Sony A9 is a state of the art camera for today standards and it opens new possibilities to traditional Sony E mount camera users, but also new opportunity for the professional photographers, who might consider the switch from the traditional DSLR platform. Unfortunately, not only features are “professional”, with the price of 5300 EUR, it is not for everyone and it clearly declares, to which exclusive equipment society it belongs. David Kašpárek (FB – David Kašpárek photo/prod) tested A9 for few days. If you want to see some of the sample photos check this link.